(7) respect the interdependent web of all existence of which we are all a part. professionals without regard to race, color, gender, physical or mental challenge, affectional or sexual orientation, age, class, or national origin. 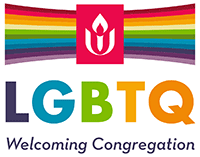 This Congregation shall be a member of the Unitarian Universalist Association and of its regional Unitarian Universalist District. Such membership shall be subject to veto of the Unitarian Universalist Congregation of Lakeland Board of Trustees (hereinafter referred to as the “Board”) within thirty days of the signing of the membership book. Withdrawal from membership may be made by written request to the Congregation Office. Removal of Members: At least once each year, the Board shall review the membership list and may remove from that list anyone who has moved away permanently or has not participated or expressed interest in the Congregation during that year. Participated in some Congregational activity during the previous ninety days (assuming health and employment permit such involvement). Section 1. The Congregation Year: The Congregation calendar and fiscal year shall begin July 1 and end June 30. Persons elected as Officers or Trustees or appointed to committees will begin their terms on July 1. Any member, in good standing, may request an item to be placed on the agenda by submitting it in writing to the Chair of the Board no less than 30 days in advance of the scheduled Annual Meeting. The item should be worded consistent with annual meeting parliamentary best practice; the submitter has the right to have explanatory material of reasonable length included in the annual meeting packet. Announcement of the Annual Meeting of the Congregation shall be made at the two previous regularly scheduled Sunday services. information on agenda items requiring a vote of the Congregation. Section 4. Special Meetings of the Congregation: Special Meetings of the Congregation may be called by the Board as needed. In addition, the Board must call a Special Meeting upon written petition of at least 20% of the voting membership. All Special Meetings shall be announced, facilitated, administratively supported, and governed in the same manner as Annual Meetings, with the exception of the announcement of a Special Meeting called for the possible purchase of real estate. Special meetings for the purchase of real estate: In this case, announcement may be made by e-mail provided such notice is sent out at least three times, the first announcement being sent no less than five days prior to such Meeting. Additionally, announcement of a real estate related Special Meeting must be made by telephone to members without known e-mail addresses. Section 5. Voting majority and quorum: A majority of those Members qualified to vote and present at the Annual or a Special Meeting of the Congregation is required for any action except where otherwise specified in these Bylaws. A quorum of 40% of the members qualified to vote under ARTICLE IV, Section 3 shall be required for all action except that 60% of the Members qualified to vote shall be required for the following: the purchase and sale of real property, calling of or dismissal of the Minister, changes in the Endowment Fund as specified in Article IX, Section 4. Section 6. Proxy voting: Proxy voting is permitted. Persons performing proxy votes will present a printed email or signed letter stating the name of the Member and the identity of the person to whom their proxy vote has been given. Section 1. Congregational administration: The Congregation shall be administered by the Board, acting as the elected representatives of the Congregation, who shall make decisions consistent with these Bylaws. Section 2. Board membership: The Board shall consist of 5 voting members elected by the congregation. The board shall select a Chair and Vice-Chair from amongst themselves. At the first annual meeting following the adoption of these by-laws, 2 Board members will be elected for a term of 2 years and 3 members for a term of 3 years. Thereafter, all Trustees will be elected to 3-year terms. Section 3. Board vacancies: In the case of a Board vacancy, the Chair shall appoint a new Board member, with the consent of the majority of remaining Board members, to serve until the next Annual Meeting, at which time the unexpired term shall be filled by vote of the Congregation. Section 4. Secretary, Spokesperson, Treasurer and Assistant Treasurer Appointments: A Secretary, Spokesperson, Treasurer and Assistant Treasurer shall be appointed by the Board. These may be either members of the Board or non-members of the Board. Only Board members shall have the privilege of voting on Board actions. Section 5. Ex-officio Board Members: The , Minister, Treasurer, and Director of Religious Exploration shall be ex-officio (without a vote) members of the Board. Section 6. Board Meetings: The Board, and officers when appropriate, shall meet monthly or in the case of need, at the call of the Chair, Vice-Chair in the absence of the Chair,or any three Board members. Board Quorum: Three members of the Board shall constitute a quorum for the conduct of business. A reasonable attempt shall be made to notify all members of the Board at least one week in advance of any Board meeting. Section 7. Executive Sessions: An executive session of the Board shall be held in accordance with Robert’s Rules of Order. An executive session must be for a specific reason. It must be called in an open meeting of the Board by a motion, second, and majority vote of approval. Section 1. Chair: The Chair shall preside at all business meetings of the Congregation and its Board, and make such appointments as are needed for specific tasks. Section 2. Vice-Chair: The Vice-Chair shall be acting Chair in the absence of the Chair. Section 3. Secretary: The Secretary shall keep all minutes of business meetings of the Congregation and its Board. All records of the Secretary shall remain the property of the Congregation. The Secretary shall be responsible for maintaining all official documents of the Congregation required by Statute. present to the Board, not less than four weeks prior to the Annual Meeting, a comparison of the budgeted and actual expenditures (for the current year) for the purpose of preparing a budget (for the following year) for presentation at the Annual Meeting of the Congregation. The Treasurer shall qualify for such bond as may be required by the Board. All records of the Treasurer shall remain the property of the Congregation. In the absence or disability of the Treasurer, the Assistant Treasurer shall be authorized to sign checks and carry out the duties of the Treasurer. In the absence or disability of the Treasurer and Assistant Treasurer, the Chair or Vice-Chair shall be authorized to sign checks. All officers, trustees, appointees and others serve at the will of the Congregation and may be removed by the majority vote of 60% of the congregation. Additionally, the Board shall remove any officer, Board member or appointee if the Member occupying that position misses three consecutive meetings without satisfying the Board that their reason for doing so is of a temporary nature for sufficient cause, or otherwise consistently fails to meet the obligations of their position. Section 1. Nominating Committee: The Nominating Committee is made up of 3 voting members. Each year, the committee will choose one member from amongst themselves to remain on the committee for another year. Two additional committee members will be elected at the annual meeting. The Nominating Committee shall present a slate of one nominee for each vacancy on the Board, one nominee for the Endowment Committee, and two members of the Nominating Committee. At the Annual Meeting, nominations may be made from the floor, providing the nominee has given prior written consent to the Chair of the Nominating Committee. The slate shall be published prior to the annual meeting. Section 2. Auditing Committee. This Committee shall be appointed annually to conduct a financial review or limited audit of the Congregation’s financial records. The Auditing Committee shall examine the records of the Treasurer and Endowment Fund for each fiscal year. Results shall be communicated to the congregation in the newsletter or some other means. Every 5 to 10 years, and at the end of a Treasurer’s term, an outside accountant will do an audit. Section 3. Endowment Fund Committee. This Committee, established by the Congregation, shall be composed of three voting members of the Congregation who shall be elected to three-year staggered terms. The Nominating Committee shall nominate the members of the Endowment Fund Committee for approval by the Congregation at its Annual Meeting. The Endowment Fund Committee shall be directly responsible to the Board and be governed by a written policy initially approved by a two-thirds (2/3) vote of the Congregation at its 2002 Annual Meeting. Any amendment to this policy which alters the purpose of the Endowment Fund or changes the provisions relating to acquisitions and distributions must be approved by a two-thirds (2/3) vote of the members present at the Annual or a Special Meeting of the Congregation. A quorum of 60% of the eligible voting members must be present. Section 4. Personnel Committee: This Committee membership will be two Board members and a Board appointed non-board member. This Committee will do a written evaluation annually of employees and Ministers. Supervision and review of employees will transition to a settled minister when they are hired, if this is part of the Minister’s contract. Section 5. Bylaws Review Committee: This Committee shall be appointed by the Board in years divisible by five for the purpose of reviewing these Bylaws and recommending revisions as needed. The committee will report to the Board and at the Annual Meeting the following year. Section 6. Other Committees: The Board shall create other committees as needed, and their Chairs shall be selected by the Board or Board Chair.. Committee membership shall be filled by the respective chairs. These Committees will submit reports to the Board about their activities as requested. Section 7. Policy Manual: A Policy Manual shall be kept up to date by the Board. Copies shall be provided to all Board Trustees, Committee and Group Chairs, Officers, and the Minister, digitally or printed as requested. The Manual shall contain a basic description of the purpose and function of each of the Congregational Committees and Groups and the operating procedures of each. It shall be the Board’s responsibility to ensure compliance to the Policy Manual. Section 1. Minister contract period and salary: A Minister may be called for a definite or indefinite period and salary and other compensation fixed by vote at the Annual or a Special Meeting convened for this purpose. Section 2. Calling a minister: A Minister shall be called by 90% affirmative vote of the members present and voting at the Annual or a Special Meeting convened for this purpose, and a motion to suspend this requirement shall never be in order. A meeting where a Minister is called requires a quorum of 60% as specified in Article V, Section 5. Section 3. Minister evaluation: The Minister shall be evaluated annually as directed by the Board. Section 4. Freedom of the pulpit: The Minister shall be free to express his/her opinion on any subject both in and out of the pulpit. The Minister is a spokesperson for the Congregation only when so designated by the Board. Section 5. Guidelines: Any matter not referenced by ministerial contract or determined by congregational vote as described in Section 2 shall be carried out in accordance with Unitarian Universalist Ministerial Association Guidelines. Section 1. Paid positions: The Congregation may authorize the Board at the Annual or a Special Meeting to create a paid position by two-thirds (2/3) vote of the voting members present. Section 2. Employee restrictions: Employees shall not serve as voting members of the Board or be elected or named as Committee Chairs. Section 1. Property ownership: The title to all property, both real or personal or mixed, and all contracts relating thereto, shall at all times be taken by and held in its legal name, Unitarian Universalist Congregation of Lakeland, Inc. Section 2. Congregational dissolution: Should this Congregation cease to function and the membership votes to disband; any assets of the Congregation will be transferred to the Unitarian Universalist Association for its general purposes, this transfer to be made in full compliance with whatever laws are applicable. Section 1. Debt: The Board shall not incur any financial obligation in excess of two percent (2%) of annual budget for which no provision has been made in the Annual Budget unless authorized to do so by a vote of the Congregation in the Annual or a Special Meeting. Section 2. Sale of real property: No real property held or owned by this Congregation at a value of $1,000 or more shall be sold, mortgaged or otherwise disposed of unless and until two-thirds (2/3) of the members present and voting shall so authorize and approve at a meeting of the Congregation called and conducted in accordance with these Bylaws. The Board is authorized to make an offer of purchase for real property in the name of the Congregation contingent upon Congregational approval obtained at the Annual Meeting or from a Special Meeting of the Congregation, in accordance with Article V, Section 5. Section 3. Emergency budget: If anything occurs that threatens the ability of the Congregation to function, the Board shall have the authority to exceed the annual budget by ten percent (10%) utilizing any unrestricted reserves. Section 4. Sale of other property: The Board shall be authorized to sell, exchange, or otherwise dispose of property other than real property held or owned by the Congregation up to a value of $5,000. Property, other than real property, in excess of this valuation may be disposed of by vote of two-thirds (2/3) of the members present and voting at the Annual or a Special Meeting called and conducted in accordance with these Bylaws. Section 5. Fund-raisers: The Board shall approve all fund-raising activities. The Board may approve specific fund raising events, whether for operational or capital projects. Funds supporting same will be deposited by the Treasurer and held for payment of the specified project(s). Capital fund-raising projects in excess of $5,000 shall require Congregation approval in Annual or Special Meeting called for this purpose. In all cases not covered by these Bylaws or by special rules which may be adopted, Robert’s Rules of Order, Revised, 2000 10th Edition shall govern, as interpreted by a Parliamentarian appointed for a one (1) year term by the President and approved by the Board. The Charter of this Congregation and these Bylaws may be altered, amended or repealed in whole or part by vote of two-thirds (2/3) of the members present and voting at the Annual or a Special Meeting of the Congregation in accordance with Article V, Section 6. Written notice of proposed amendments must be submitted to members at least 10 days in advance of such meeting as specified in Article V, Section 3. The congregation shall have a Conflict Resolution policy.